Maryland’s Heritage Areas are locally designated and State certified regions where public and private partners make commitments to preserving historical, cultural and natural resources for sustainable economic development through heritage tourism. Serving as the coordinating entity, these partnerships are at the core of the Mountain Maryland Gateway to the West’s work. The MMGTW is one of the 13 state certified heritage areas and is a program of the Garrett County Chamber of Commerce. The Heritage Area boasts of its outstanding natural resources as well its cultural uniqueness, and transportation history. As the gateway to the opening and development of America’s western frontier in the late 18th and 19th centuries, Garrett County includes Braddock’s Road and the Historic National Road. These roads spurred the building of traveler related businesses including blacksmith shops, taverns and inns. 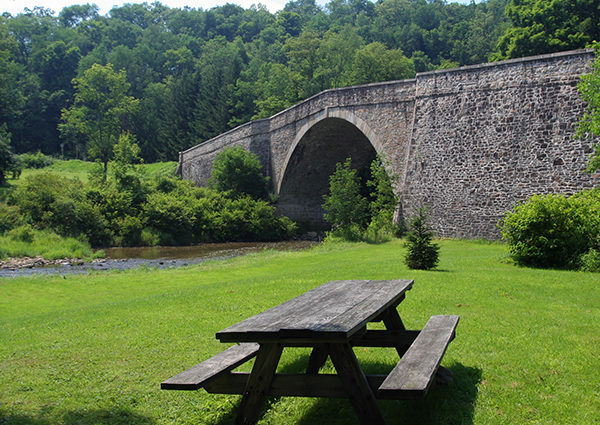 Come discover our history, explore, learn and enjoy unspoiled beauty along our scenic byways, parks and trails. We invite you to take one of our driving tours, walk through our historic downtown areas or experience one of the many festivals or cultural events we have to offer.